The 'national highways network of India is a network of highways that is managed and maintained by agencies of the Government of India. These highways measured over 96,260 km (59,810 mi) as of 2015, including over 1,000 km (620 mi) of limited-access expressways (motorways). The National Highways Authority of India (NHAI) is the nodal agency responsible for building, upgrading and maintaining most of the national highways network. It operates under the Ministry of Road Transport and Highways. The National Highways Development Project (NHDP) is a major effort to expand and upgrade the network of highways. NHAI often uses a public-private partnership model for highway development, maintenance and toll-collection. · NH-1 and NH-2 are collectively called as the Grand Trunk Road. 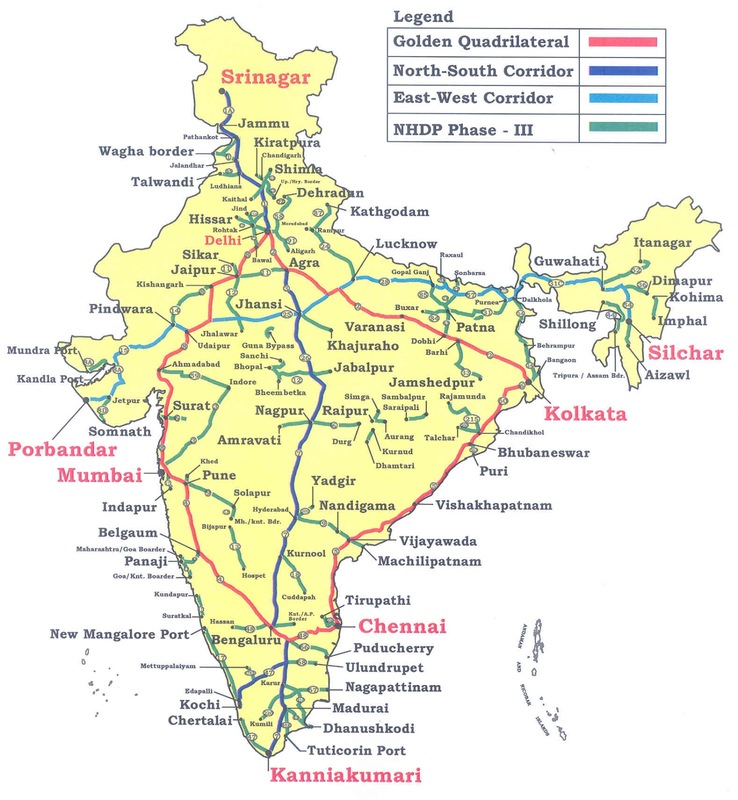 · NH-7 is the longest National Highway(Varanasi to Kanyakumari). Its length is 2369 km. and it crosses seven States namely UP, MP, Maharashtra, Telangana, Andhra Pradesh, Karnataka, and Tamil Nadu.